Great natural photo Jim,could be 1978/79, I'm really not sure.Can you tell who else is in the photo from the original? I doot yae widna "caa"" a couple o Loopie Limmosins doon the Stronsay pier noo Jim,they wid hiv the the onlookers "skatteran furr cover". 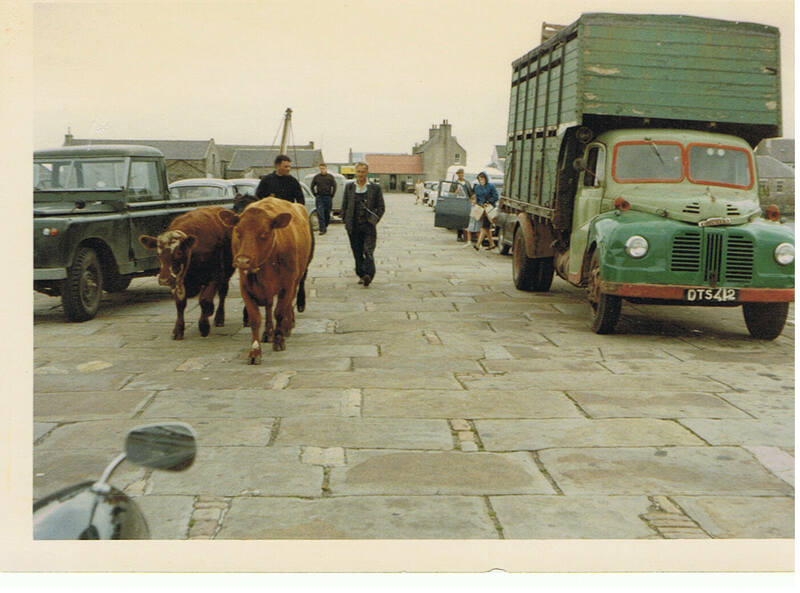 I agree Jim, I left Stronsay in 1970 and the fish factory was there then. Dad did a lot of work down there while I was still home. "By hang" would that be Norrie's larry that he told me many a story aboot during our patrols around Flotta on the night shift 30yrs ago? Spoke to Norrie and he tells me that it was indeed his larry. He bought it from Colin Peace when he was still at Olivebank. That's Norrie next to dad a'hint the biss.